Prior to mounting your sensor, add the sensor to your iMonnit account. Sensors must be registered to a gateway in order to be operable. Registering your sensor(s) and Gateway(s) is easier than ever before with iMonnit mobile. You can just scan a QR code and have your ID and Security code entered automatically. 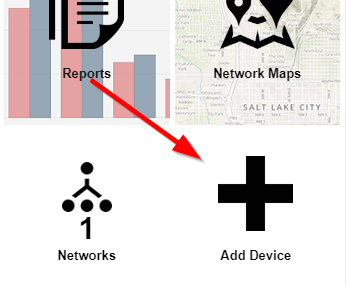 From the overview page, select Add Device. You will need to enter the Device ID and Securtiy Code from your MonnitLink™ gateway in the corresponding text boxes. 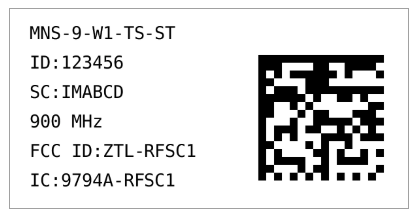 Use the camera on your smartphone to scan the QR code on your Gateways(s) first. Then scan your sensor(s). 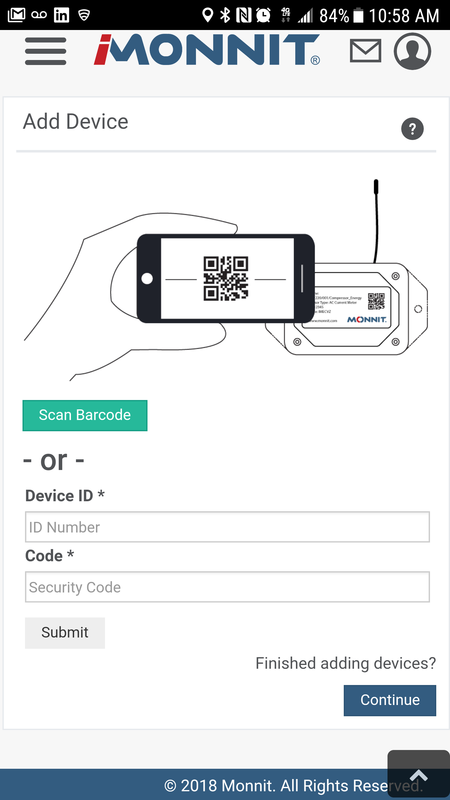 The Device ID is a unique number located on each device label. It will be labeled as “ID” on your MonnitLink™ gateway or Monnit sensor. Next you'll be asked to enter the Security Code (SC) on your device. A security code will be all letters, no numbers. It can also be found on the barcode label of your MonnitLink™ gateway Or Monnit® sensor. When you are finished adding the sensor to your account, insert the battery. 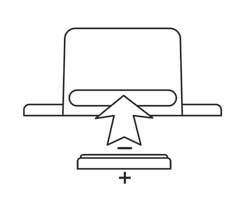 Peel back the black sticker cover of the battery slot and slide the coin cell battery into the sensor as shown in the following illustration. The sensor will power on within 10-20 seconds. Once online, your sensor is ready to be deployed. Monnit wireless voltage detection sensors connect directly to high voltage power sources. Because it is not isolated, any exposed metal around the wiring and antenna must be treated as "HOT". To prevent the possibility of electric shock, it is recommended to mount sensor, connect wiring, and orient antenna prior to energizing the AC source it will be monitoring. The following steps will demonstrate the correct way to connect the wireless voltage sensor to the power source you wish to monitor. The following diagram will help you understand wiring for 120V, 240V and 480V. Once again, to avoid electircal shock, please remove power from the source you wish to monitor prior to connecting the wireless voltage sensor. 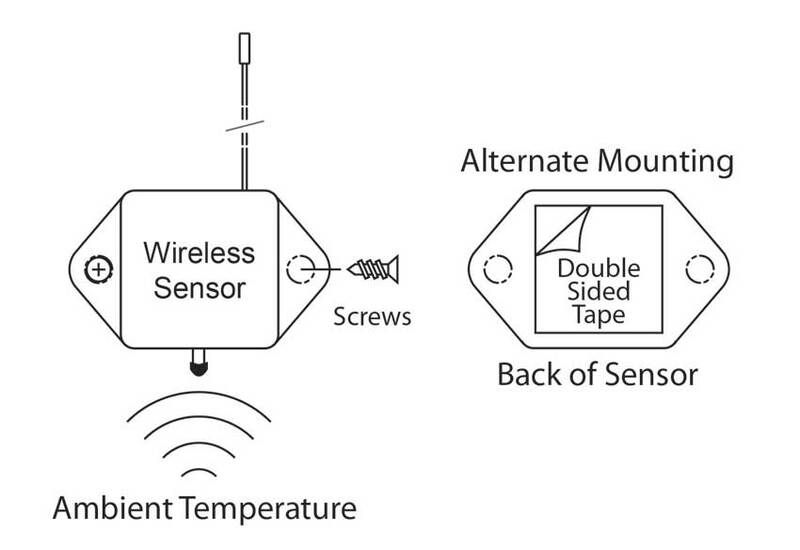 Monnit wireless sensors feature mounting flanges and can be attached to most surfaces using the included mounting screws or double-sided tape. 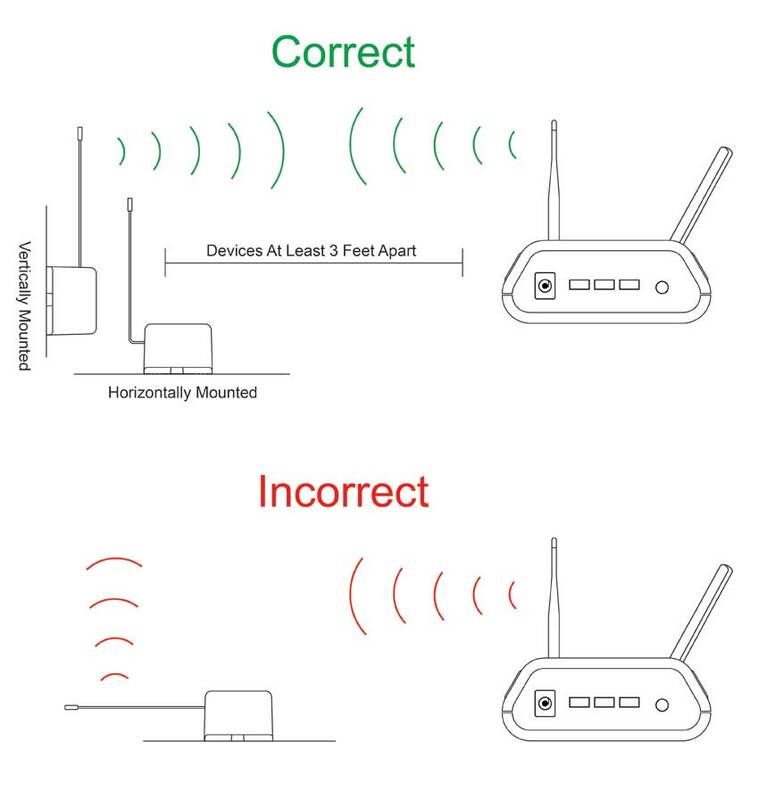 To get the best performance out of your Monnit Wireless Sensors, it is important to note proper antenna orientation and sensor positioning. Antennas should all be oriented in the same direction, pointing vertically from the sensor. If the sensor is mounted flat on its back on a horizontal surface, you should bend the antenna as close to the sensor housing as possible giving you the most amount of antenna pointing vertically. You should make the antenna wire as straight as possible, avoiding any kinks and curving of the wire. Sensors must be at least 3 ft. away from other sensors and the wireless gateway to function properly. To edit a sensor’s operation settings, click on the sensor overview row to display the details view. Choose the “Edit” tab to access the sensor configuration panel. The sensor edit panel allows you to set the primary configurations for the sensor. 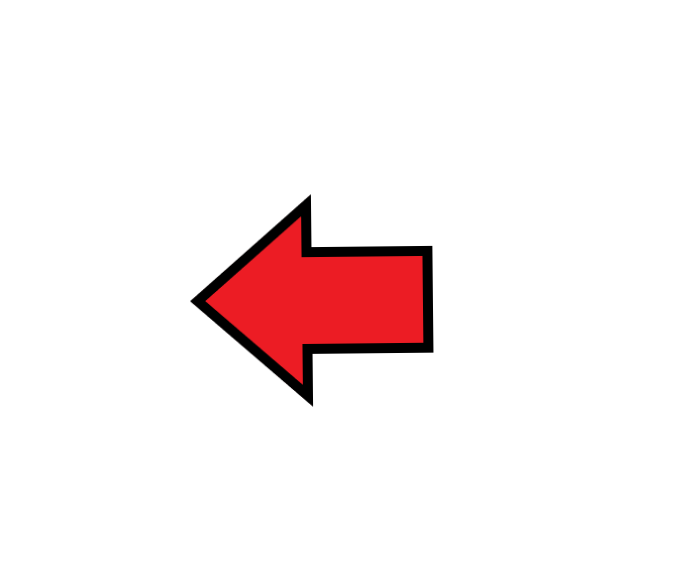 Mousing over the question mark icon by each setting will provide an explanation of that setting. When you have finished making changes, press the “Save” button at the bottom of this section. Note: Be sure to click the “Save” button anytime you make a change to any of the sensor parameters. All changes made to the sensor settings will be downloaded to the sensor on the next sensor heartbeat (check-in). Once a change has been made and “Saved,” you will not be able to edit that sensor’s configurations again until the sensor has downloaded the new setting. Can I Use a Monnit USB Wireless Gateway with a Laptop and Aircard?